Roy Snell is the CEO of the Health Care Compliance Association (HCCA) and the Society of Corporate Compliance and Ethics (SCCE), which together now total more than 15,000 members. Roy was a co-founder and the organization’s first President. He has developed numerous partnerships with government, industry, and other professional associations, and he has facilitated collaboration between the compliance/ethics profession and the enforcement community. Roy has a Masters degree in Health and Human Services Administration. Through his work with the two associations, he has overseen the development of compliance and ethics books, manuals, videos, conferences and audio conferences. He has been a regular speaker in the compliance profession for more than ten years and has spoken internationally for the United Nations on compliance and ethics. He is a Certified Compliance and Ethics Professional (CCEP)®. Roy writes more than 25 compliance articles annually and has written for several international publications, including European CEO and The European Business Review. Roy is the co-editor of the Health Care Compliance Professional’s Manual and serves as editor, co-editor and advisory board member of several other books, magazines and newsletters. He has served as a source for many media reports, including national publications such as the Wall Street Journal, Forbes Magazineand Business Week. He has been quoted in international publications such as Financial Times and Ethical Corporation. Roy is a former Mayo Clinic administrator. He is also a former consultant and compliance officer. He has participated in the development of compliance program guidance, professional certification programs and the Compliance Professional’s Code of Ethics. He has dedicated more than ten years to the compliance profession and to the development of compliance programs on an international basis. 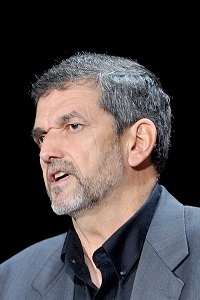 Roy was named one of Ethisphere’s Most Influential People in Business Ethics in both 2007 and 2010. Is the Word Ethical Being Used in an Unethical Way? When is a Compliance Officer Not a Compliance Officer? Who will answer the GC/CCO reporting relationship question? If Everybody is Responsible, Nobody is Responsible. S&P Settlement is 1.4B but people are asking where’s the beef? Your new Compliance Officer…Justin Bieber?